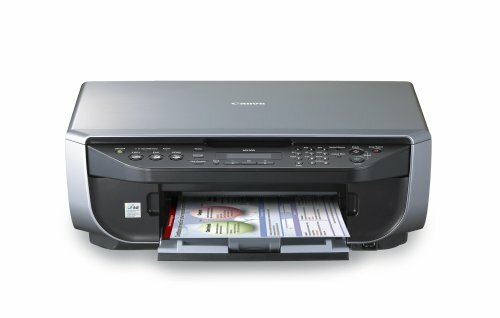 The Canon PIXMA MX300 is All-in-One Inkjet Printer designed for office uses. This canon printer combine scan, fax, copy, and print into one easy machine. Canon MX300 can scan vivid images with color resolutions up to 4800 x 1200 dpi. This all in one printer compatible with Windows Vista, Windows XP, Windows 2000, and Mac OS X 10.2.8 to 10.4.x8 operating systems and printer using PG-40 black cartridge and CL-41 color cartridge. I have not found the software resetter for Canon Pixma MX300 in internet but don’t worry if you have problem with this multifuction canon printer, you can reset it manually. This reset method is to reset ink level in Canon MX300 if your printer stop to print after refilling the cartridges. Update: severals readers say, this reset methods also work on Canon MX308. Here the Solution to reset the ink level for Canon Pixma MX300 follow this steps to reset the ink level in your canon MX300. Switch off the Canon MX300 and disconnect the power cable. While press and hold the power button, Connect the power cable to electric socket. While pressing the power button, press the “Cancel/Stop” button (red button). Now release the power button and the printer turns into a kind of factory mode. Wait for 10 seconds until it says “idle”. Press “>” (next button) once “Shipping Mode 3” then Press the “OK” button. Press “OK” again for “without cleaning”. A test page will print. Open the cover, like you are about to change the cartridges. Disconnect the power cable again without switch off the printer. Take out the both cartridges. Connect the power cable and turn on the printer. Now just put the cartridges back and the ink level in the canon Pixma MX300 have full again. Related to "How to Reset Ink Level Canon MX300 Cartridges"
No work for me. Display “Factory mode 1” and … nothing when I press “Next”. xcellent, worked perfectly for my PIXMA MX-308 as well. I have tried this twice now and it’s not working. The printer goes into Factory mode fine, but never gets out of that mode and into shipping mode! What do I do now?? after this my mx300 is on japan zone any idea? Sorry to say – but this did not work for me at all. I couldn’t even get it to go into factory mode. Tried this with my MX320 but it doesn’t seem to work. It goes into “service mode – idle” but won’t do anything else. Nothing comes up when I press ‘>’. Please help! Okay. correction. After i have tried it a lot off times. Pressing the reset button twice actually took me to the correct factory mode and it suddenly turned into idle. Maybe it was because i lifted and closed the coved? Worked perfectly for my Canon MX300. Thanks! I tried this and it didn’t work. Same problem! Back to square one! It took a few times to get it right. I had to push the Red Stop/Reset button 2x, to get Factory1. If you press it 3x, like another site said to, you get Factory2, which may confuse others as much as it did me. Also, be sure to leave lid open until the cartridges are all the way over on left side so you can remove them correctly 😛 It takes a couple min for them to stop sliding left and right but they eventually settle on the left. How to Reset Ink Level Canon MX347 Cartridges? i’m using the ciss system! the fax can’t print out automatically, the screen just write out ink level low…what should i do? I’ve got to add here. However, it may be possible that my compatible carts are simply no good. I put my original carts back in and it worked right away. Press “>” (next button) once “Shipping Mode 3? then Press the “OK” button. Press “OK” again for “without cleaning”. AND the ink level in the canon Pixma MX300 have full again. It working for my MX 310. Thank you! Am Canon Pixma MX375, i-am montat un CISS, dar cand introduc furtunasul “rosu” in cartus , imi indica “Check ink U051 Col” si nu raspunde la nici o comanda. Daca scot furtunasul “rosu” din cartus, totul merge normal Stie cineva ce trebuie facut ca sa elimin acest neajuns? Multumesc! Hello I have got a big problem with my Canon MX395. It has got 5B02 error 🙁 I tried this method,but it doesen’t work 🙁 Can you help me anybody? Does anybody have the service tool for canon mx320 please?? Or where I can find it? It’s working for my MX308. Thanks a lot!